Security is becoming harder and harder as the days go by. It is largely in part to the fact that there are thieves, gangsters and criminals around every corner. It doesn’t matter where you are because everyone is going to need protection to make sure that you are going to be safe. The inside of your home is crucial to have the protection that you need to keep all of your valuables and loved ones safe. It is where you live and it is imperative that you take the steps to safeguard against any unwelcome visitors. Since you are not able to keep your home protected all the time, you are going to need to use the technology that is available on the market to keep your home safe. You are going to need to have a dummy security system installed to prevent any unwanted intruders. There are a lot of different benefits and features for the dummy cameras that will make it well worth your while to check them out. The dummy security cameras work by helping to protecting the potential criminals that attempt to break in to your home. Through the use of this product you are going to be able to rest assured that your belongings are not going to be owned by any potential criminals. You can use this product on the inside or the outside of your home. It comes complete with the red LED lights that flash and begin moving back and forth or swing as soon as it detects movement and allows the intruder to know that there is someone who is watching them. There is also the option of turning the LED light off. Once the LED light is off, the camera will not be able to rotate or pan when it detects an intruder. However, this can also be considered an advantage. Since the intruder does not notice the light that is rotating, they will not be as apt to run away and as a result they will stay longer and continue with the break-in. This is going to give you ample time to alert the police and send your unwelcome visitor to jail. These cameras are going to come complete with focal markings located on the lens and a four inch sticker. All you are going to need to power them up are AAA batteries that are capable of working up to two years. This will eliminate the monetary concerns for changing batteries on the device. The dummy cameras are going to be rust proof because of the material that is used to make the cover, anodized aluminum. There is no fear if the product does stay in the direct sunlight or if there is a downpour of rain. Apart from this, the camera can be adjusted for the tilting so that it is easier for the panning movements to prevent interruption. This product is not only useful for making sure that you are protected, but it is also very technical and cool as well. When you have this it does more than just frighten the intruders that are attempting to come inside of your home, but it will also make sure that you and your family is going to be safe and secure as well. Your family, belongings and you will be protected and secure for years to come. Don’t wait for an intruder to come to you. Make sure you are protected now, before it’s too late. Security will always remain one of the primary concerns of homeowners around the world. A lot of people will spend thousands of dollars to make sure that the home is protected from any potential burglars that may try to come your way. If you are finding that you cannot afford a security camera, a dummy surveillance camera will do the job for you by scaring off any burglars or intruders from your property. What is a dummy surveillance camera? A dummy surveillance camera is going to look just like a real surveillance camera, but they are not able to record the live footage. They are going to have identical features to the real security cameras. What features do I need to consider before purchasing? One of the first things that you need to consider is whether or not the camera can be used inside or outside. It needs to be constructed with a material that will be able to hold up in rain and the direct sunlight. You are going to want the red light that will be able to move left and right or swing. There should also be the added feature of allowing the movement to cease, since it would give the potential burglar the knowledge that he or she is being watched with the camera lens. 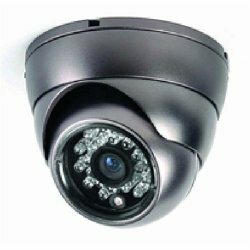 What is the cost of a decent surveillance camera? The majority of dummy security cameras are able to be purchased for under $50; however, there are those that have more complex features that will run you more than the $50. You need to remember that there are a lot of different features and options that you can get so choose wisely and then get a brand that can offer you what you are looking for. Your home needs to be safe and secure from any unwanted intruders and in order to do this you are going to need the best security equipment on the market. One of the best devices that can help with this issue is a real security camera. However, these cameras are going to be rather costly, so a lot of homeowners are trying to stay away from this idea if possible. One of the best things that a homeowner can choose to do is have one of the dummy security cameras installed. There are a lot of different types, models and brands that you can choose from to find the best type of camera available. Listed below are a few simple tips to help you find a security camera that is going to meet your needs and preferences. • Look for a dummy camera that is extremely durable. You should make sure to choose a camera that has material to make it withstand the heat and rain elements of the outdoors. This will enable you to use the camera indoors or outdoors with ease. • Check for the LED light indicator. The LED light will normally go back and forth from left to right. It is also going to swing back and forth, thus serving as a constant monitor on the camera that can track the movement. You will also be able to stop any movement and give the intruder the illusion that they are being focused on. • Get a dummy security camera that is extremely adjustable. Having an adjustable camera is going to make tilting the angles extremely easy for anyone. You will be able to use your camera anywhere you want it to be mounted. • Check for a good brand with all of the features you need. You should not have to spend more than $50 on your new dummy camera, and often they will be less than $50 in cost. 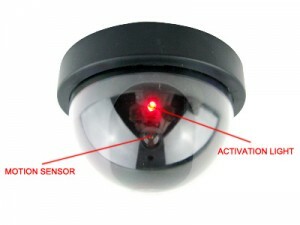 Good dummy surveillance cameras are the ones that are going to give you all of the features of a real security camera. It needs to look as realistic as absolutely possible, even though in reality it is a dummy. The camera is not going to be able to record any footage of someone coming near your home like a regular surveillance camera will, but it is capable of doing a lot of great work in scaring off any potential burglars from your home. • You are going to have a real housing for your camera, without having the camera in the first place. • The LED flashing lights are going to be identical to that of any real surveillance camera. • They are able to be used at any business or home. These cameras can take ownership of the entrances to your home or store. • Your real video cable will be able to extend from the front of the camera to the rear parts. • The weatherproof camera makes them perfect for indoor or outdoor use. • They are easy to install through just a few stainless steel screws. 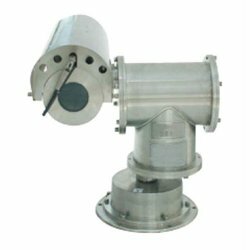 • The adjustable mounting brackets are going to make them easy to place within any area that you wish to have monitored. Remember that there is no video that is actually being recorded with your dummy security camera and it is not going to protect you in a court of law. Your main goal is to scare off the intruder and make them believe that there is a real camera in place. There is nothing that is going to clue them in as to whether or not you are actually filming them or not. Giving them the illusion that they are under surveillance is enough to scare off the majority of intruders. Make sure that you are doing your homework and choosing the best alternative for all of your surveillance needs. You need to feel safe and secure in your own home and now you have plenty of options to choose from for just that purpose. Come check out our stock today!